From the time I was a small child, I’ve loved horses and all things Western. I’m not sure how it happened but I think my love of reading is partly responsible. Television reinforced what I read. I was a busy kid. There was a great deal to do back in the day. Much of what I did involved reenacting events from books or story lines from television programs. 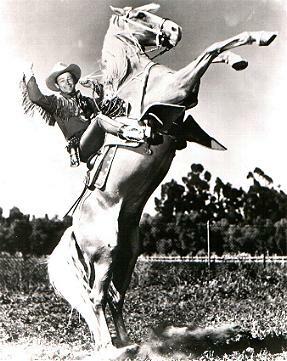 In the mid 1960s, there were several good Westerns on television: The Big Valley, Bonanza, Gunsmoke, Wyatt Earp, Roy Rogers, The Lone Ranger, just to name a few. I watched many of them and was so mesmerized by all of the trials and tribulations. Plus they rode horses all of the time which, to me, would have been a dream come true. My little neighborhood friends and I would head into the woods that bordered our yards to make forts, gallop like horses, take prisoners and just about anything else we could think of. I have to say I was the ringleader and probably a little bossy. It was probably a sign that I would become a teacher. We kids would emerge at mealtimes and certainly flourished due to the fresh air and activity. I’ve maintained a lingering interest in all things Western. I still enjoy reading about the history of the West. Some of my best understanding of horses came during the 1980s when I worked part-time at a horse stable for a few years. It was difficult, tedious work but it gave me the opportunity to be around horses and pretend, for a few hours a week, that I was living my childhood fantasy. Lately, I’ve had a resurgence of interest since I’ve discovered the show The Pioneer Woman on television. Ree Drummond seems to be an interesting woman and, while she doesn’t always cook the most healthy things, her food looks tasty. But what I enjoy best are the brief glimpses into the ranch life. It really isn’t so Romantic. It’s flat-out hard work. But I still cherish my dream of long days in the saddle, endless hours outdoors, being one with my trusty steed, and coming home to a hearty meal. Fantasy is the best way to describe it. But I’ve always been a dreamer and will continue to be as long as I live. Some have come true, some have yet to be realized. How exciting is that to think about? I know the song is about soldiers returning from WWI but the images work for me. Happy dreams until we meet again. This entry was posted in dreams, inspiration, nature, reading and tagged cowboys, dreams, horses, imagination, ree drummond, television, westerns. Bookmark the permalink.